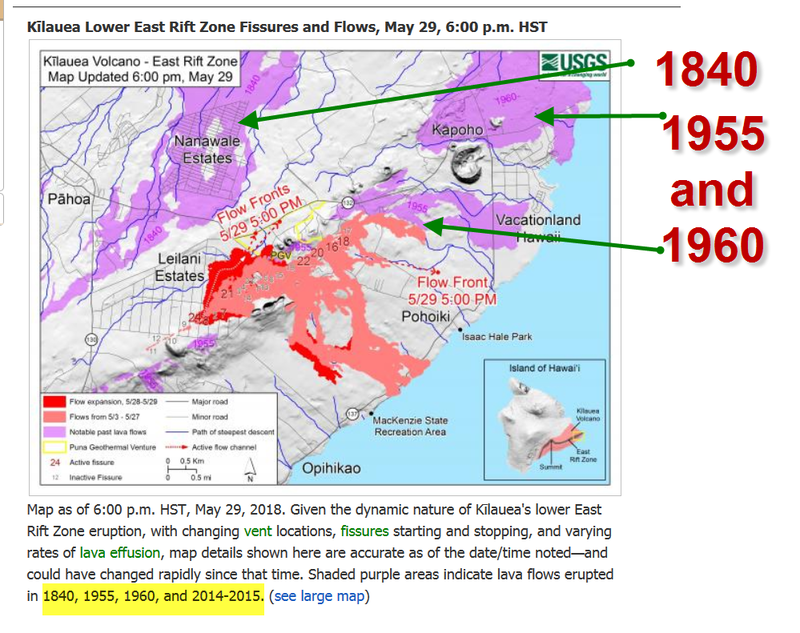 Updated lava flow map indicates this is the largest flow in over 170 years. 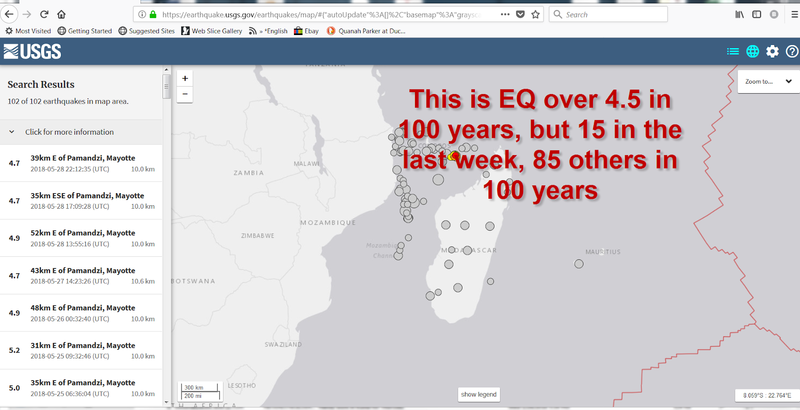 Strange "stuck" EQ on the other side of the globe in Madagascar is waiting to "clear" a large earthquake to release pressure. 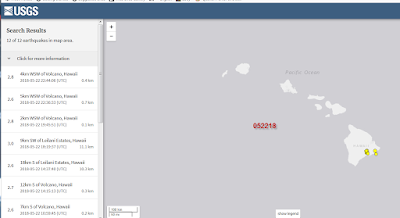 Is this pressure being caused by Hawaii, and maybe the magnetic pole shift, or is this pressure pushing all the way to Hawaii? 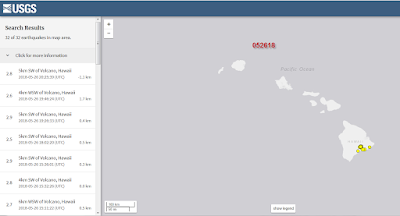 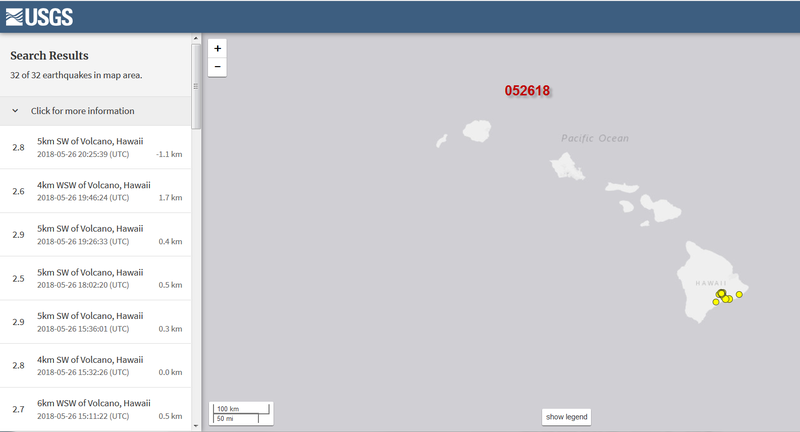 Tuesday update -- over 100 Earthquakes in Hawaii today, 180 yesterday. 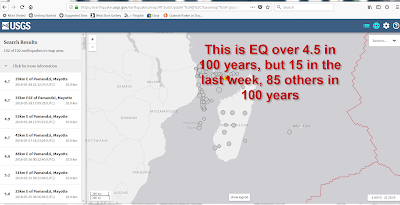 UPDATED-- purely stock's work here ----unusually, on the other side of the world, on another island that is not on any fault line....15 large EQ over 4.5 in the last week, but only 85 others in the last 100 years. 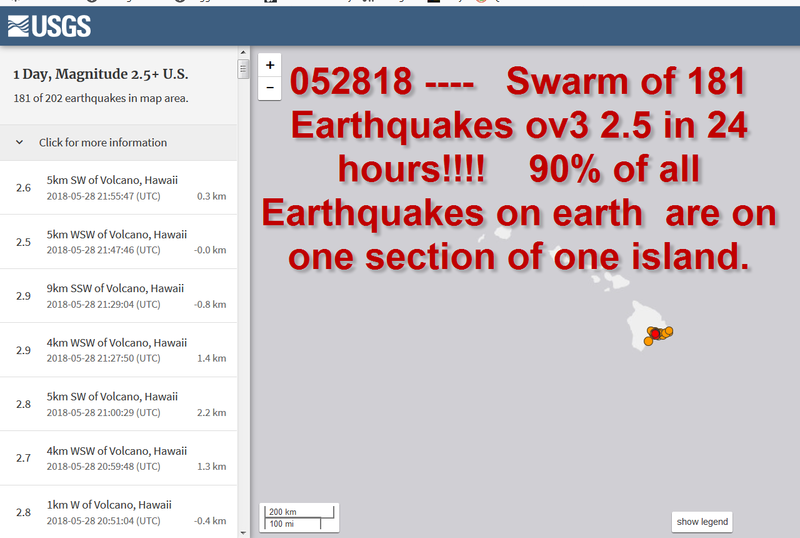 See bottom for awesome video, boots on the ground! 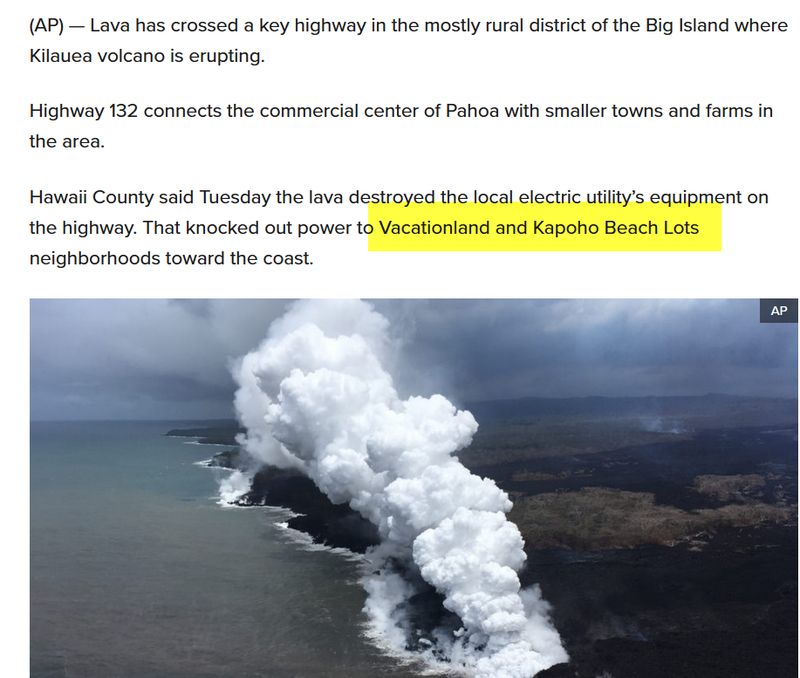 Normally, there are 30 or 40 EQ over 2.5 on EARTH in 24 hours. 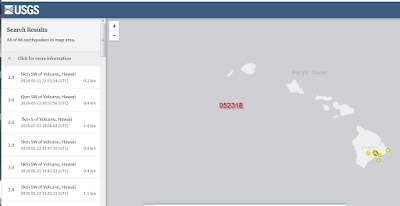 Last few weeks have seen 20 or 30 EQ over 2.5 in Hawaii in 24 Hours. 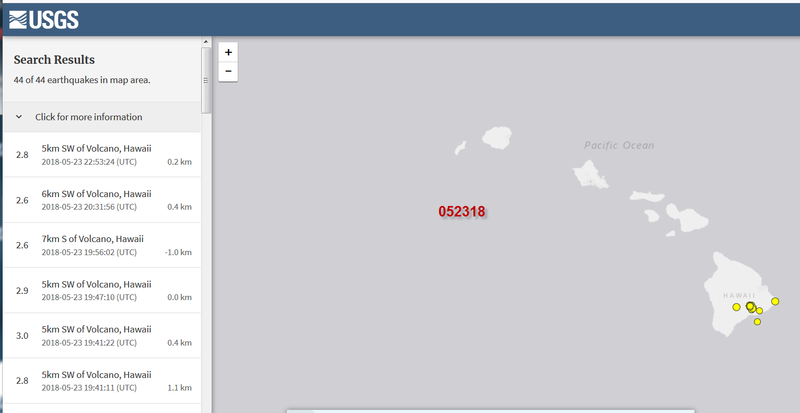 BUT JUST NOW!!!! 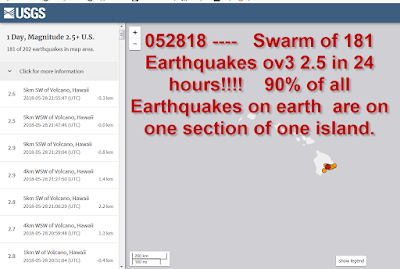 Massive Swarm of 180 EQ over 2.5 in Hawaii. 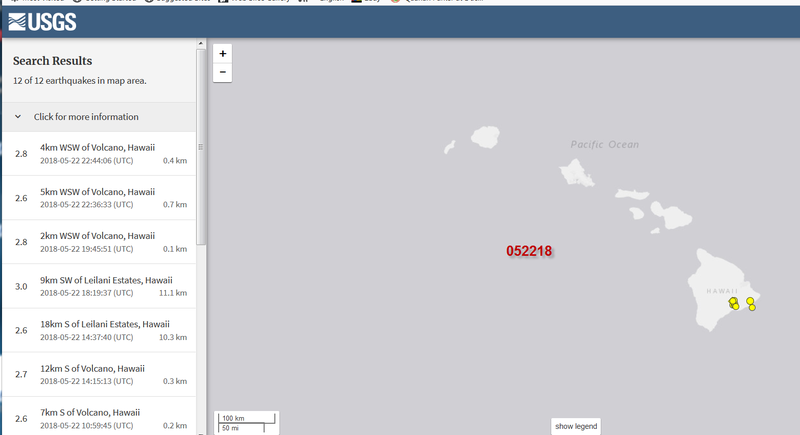 Big landmass is moving and a huge chunk of island could slide off, triggering a massive Tsunami.